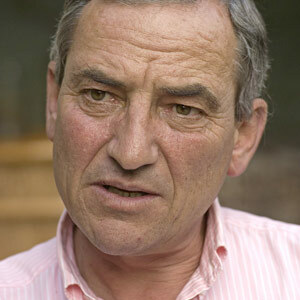 Italian-born Luca Cumani, the son of a champion trainer on the one hand and a champion amateur jockey on the other, has horses coursing through his blood. No surprise, therefore, that he identified Newmarket as the place to be in his early twenties and headed for England with a suitcase and bagfuls of ambition. Cumani has trained seven Classic winners, including Derby victors Kahyasi in 1988 and High-Rise 10 years later. He has also travelled across the world to claim major wins, including the Breeders’ Cup Mile, the Arlington Million. But all good things have to come to and in October, 2018 Cumani announced he will bring his illustrious training career to an end later this year. The legendary trainer has decided to call it a day after 43 years at Bedford House Stables in Newmarket. “I wouldn’t say it’s something I’ve been thinking about for a long time, but I’ve come to realise the time is right. “I’ve been very lucky and privileged to have won big races all around the world and I no longer have the material to do so. “I’ve been to Churchill Downs and Melbourne, and now we’re having more runners at Wolverhampton and Chelmsford and it’s not quite the same. Born and raised in Italy, Cumani was the assistant trainer to the late Sir Henry Cecil in his early career. His very first winner as a trainer in his own right came at Group-race level, with Gianfranco Dettori – father of Frankie – steering Three Legs to win the Duke of York Stakes in 1976. As well as his two Derby victories, Cumani tasted British Classic success in the 1984 St Leger with Commanche Run, who would go on to win the following year’s International Stakes. Barathea was a Cumani star in the 1990s, winning the Irish 2,000 Guineas, the Queen Anne Stakes and the Breeders’ Cup Mile. In more recent years, Cumani trained the popular Falbrav to win five Group One races, including the Eclipse, International and QEII. Cumani added: “I have been very lucky to have so many great days. My first winner was a Group winner in the Duke of York and then we’ve had a St Leger winner and two Derby winners, and Barathea winning the Breeders’ Cup Mile was fantastic. With his son Matt training in Australia and his daughter, Francesca, a regular presenter on ITV Racing, Cumani confirmed Bedford House will be sold at the start of next year. He added: “Matt is in Australia and in racing terms, it really is the land of opportunity. Racing is thriving and booming there at the moment and it makes sense for him to stay there. “I don’t think Francesca will be giving up her job to start training any time soon, so we’ll sell the yard and me and my wife Sara will live at the stud. “We’ll continue training until the December Sales. Some horses will be sold, some will go to other trainers and that will be the end of that.